Finleigh is a happy, affectionate, and energetic little 7 year old girl who is in Grade 2. She has an amazing memory and can recall the smallest detail of someone she met or something that happened even years before. Sometimes her emotions overwhelm her and she becomes upset, often leading to severe meltdowns. This is typically out of her control and may start or stop for no apparent reason. On the flip side, she has the ability to bring a smile to people's faces with her energy and an enthusiastic hug. November 17th is World SMS Awareness Day, a day when those of us affected by SMS tell our story. Finleigh was diagnosed with SMS just after she turned 6, when she was in Kindergarten. We'd been searching for the cause of her difficulties since she was born but it took visits with many specialists and several rounds of genetic testing before we found our answer. 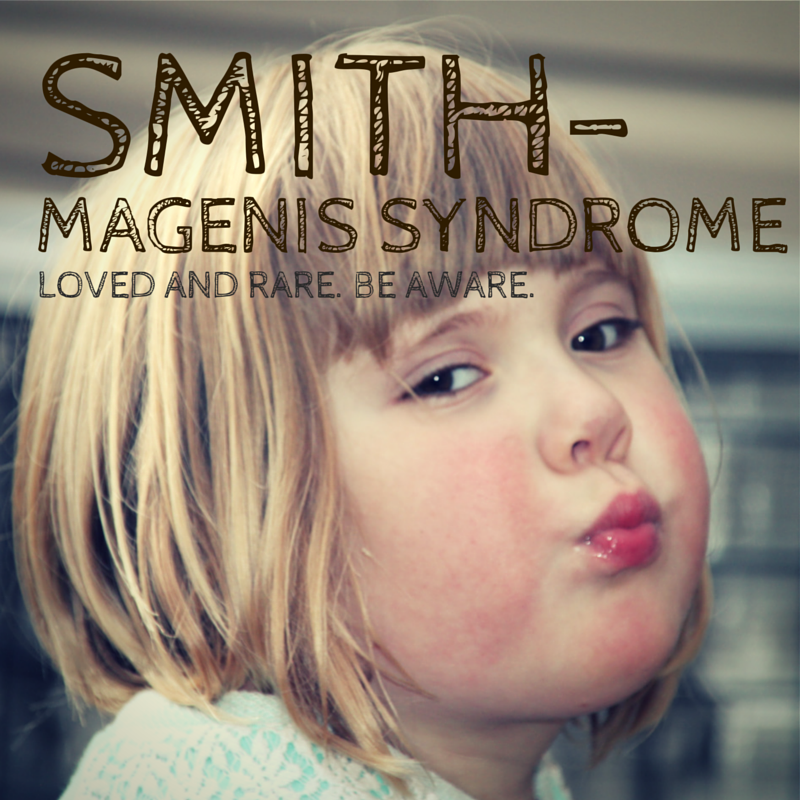 Finleigh has Smith­Magenis Syndrome, a difficult diagnosis to be sure. We love Finleigh with all our hearts and we know she touches the lives of many people she meets in a profound way so, on this day, we wanted to share with you her diagnosis because we hope to increase awareness of this syndrome. Many of the doctors and health care professionals we've met over the years have not heard of SMS nor understand the complications that surround it. It is our hope that with awareness will come more research and eventually treatment, since there is no cure. SMS has similarities to many other diagnoses and has been likened to a combination of Down Syndrome and Autism, but it is very different and complex as it affects every system of the body in challenging and unexpected ways. This makes it difficult to treat and interrupts her life significantly. But Finleigh is strong and takes this all in stride.